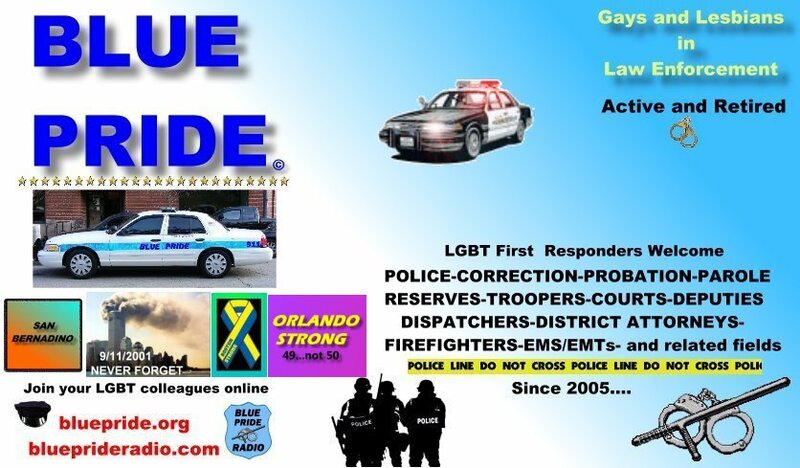 If you are a gay or lesbian law enforcement professional, you are encouraged to JOIN AND PARTICIPATE in this board today! Guidelines for using this board. New members: read before posting. 79 1,396 SAY HELLO HERE! - New and old members-say hi! Use this area to let us know about events, gatherings,etc. Also, general announcements! An area to discuss sports, TV, movies and other related topics! Loosen your gear...sit down...chew the fat...joke around and have some cookies....! This is the place to vent and get things off your chest!! Articles and tips on health for our community. Check with your own Doctors for definitive medical advice. 0 Staff, 0 Members, 81 Guests.